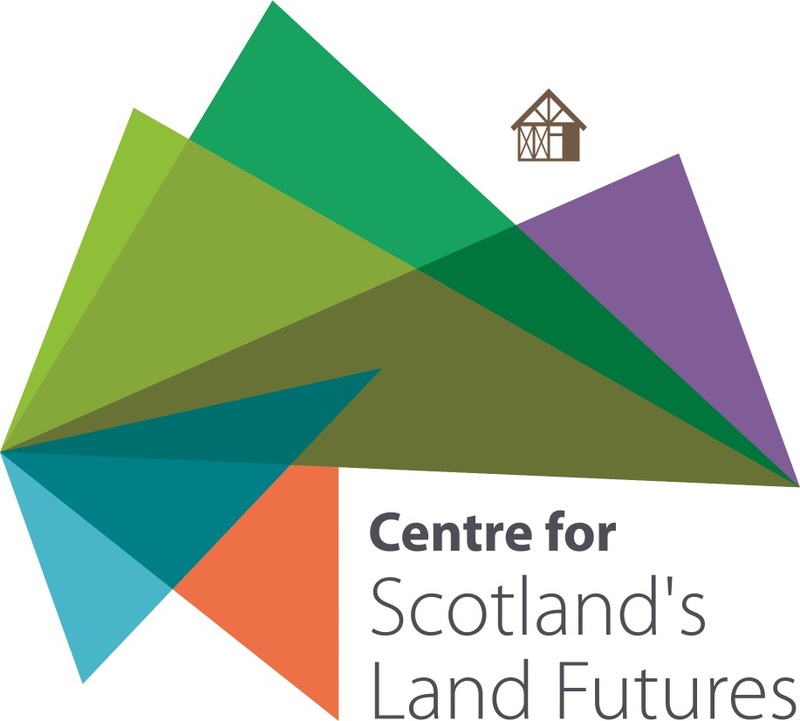 I’ve been asked to share something about the importance of land reform. What I’d like to say comes out of my experience in June this year of spending a week on the Isle of Eigg to celebrate the 20th anniversary of its pioneering community buy-out. My wife, Vérène Nicolas, came with me, and she had already been having discussions with a number of the younger generation on Eigg. During the week we had a number of informal meetings with island residents, and I gave a formal presentation in the community hall as part of the programmed events. I had also been invited to write the Foreword for the community’s celebration brochure (see below). All in all, it was a week of deep reflection on the achievements not just of the past two decades, but going back to 1991 when the original Eigg Trust was first formed to challenge landed power. What was so striking, looking back, was how the original vision of the 1991 trust manifesto had been fulfilled and exceeded far beyond the dreams of any of us who were involved at that time. It had come about not because of the sustained effort of we, the founding trustees, but because of the way the community took it on, and fittingly took over, and wrestled with the issues of how to create a present and a future worth living for. The early years had been a tough time. Not all of the community had backed the buy-out bid. Some felt more comfortable with the perceived securities and ease, for some, of landlordism. One early director of the Isle of Eigg Heritage Trust (as it became when re-formed to take ownership of the island in 1997) told me that being on the trust had felt like going around in the community “with my jugular exposed”. It took time for people to adjust, and to internalise the fact that the Trust was not just another landowner. Rather, it was their representative body. That meant that if you didn’t like it, you could vote the directors off and stand for election yourself. What has most impressed me down the years with Eigg, is seeing how the community has faced up to difficulties and learned to address them without doing itself more injury than good. Lord George Macleod who founded the Iona Community used to say, “only a demanding common task builds community.” How true that has been on Eigg. Many of the early divisions about the value and benefits of the buy-out were overcome when the Eigg electricity scheme was tabled. Even the Trust’s sceptics then realised that here was something that would hugely benefit everybody. Such can be the very practical nature of demanding common tasks that build community. Always in the background of Eigg was a blend of local vision and a global vision. The local vision was about practicalities – security of tenure, a pier for the ferry, ecological restoration, building affordable housing, cultural events and stimulating entrepreneurship using the island’s resources. But these were always held within a bigger picture that was about more than just themselves. Many islanders have been pioneers of themes like fair trade and organic agriculture (or at least, low impact farming). Many of those who have come to settle on Eigg have been driven by concerns about the wider world – poverty, war including nuclear disarmament, climate change, biodiversity loss, human disconnectedness – and wanted to experiment with their lives to see if they could make a difference. Together, they have established patterns and examples. Now groups visit from around the world for inspiration. I myself brought a delegation of planners and local government officials from Papua, Indonesia, and they went back with eyes opened as to the potential for grassroots community empowerment against what had been a backdrop of colonialism followed by a brutal dictatorship. That local internationalism was what most impressed Vérène and I on our recent visit. The young people have been returning to Eigg, building homes there, because you don’t have to find £50k and tie up one spouse’s pay just in servicing the mortgage on a housing plot. You can therefore afford to live with less financial security, and parents can afford more time with children and community. But the young we met and talked with – and we met with quite a lot of them, usually with babes in arms, on the boat, in the pub and in their self-built homes – are not just in it for themselves. They told us that their passion is to take Eigg further forward in the next twenty years. They want to develop ways of managing the island and their own relationships to serve as seedbeds and inspiration for elsewhere. Their vision is realistic as to the challenges they face, but outward-looking, and generously so. We came away with a sense of renewed vitality and sense of commitment towards Eigg. Had they only done well for themselves, that would have been great. But this is a community whose vision is more than that. This is a community whose vision doubles as a mission. That wants to give back to the world, and has a sense of responsibility – the ability to respond – towards the pressing concerns of our time. For me, that is what makes Scottish land reform so distinctive. I’ve seen it happening not just on Eigg, but elsewhere, for example, with the North Harris Trust and the fledgling Pairc Trust on Lewis. There is much discussion these days about the future of Scotland. Like many of us today, I believe that Scotland will only have a better future if we build capacity within our own people, including a compassionate capacity to shovel whatever it is that might need shovelling. That growth in capacity might be sparked by reaching out to service fundamental human needs, but it cannot be for us alone. The higher fundamental human needs are for qualities like participation, love and justice. Scotland’s outreach must, like we see on Eigg, be towards a wider vision for the world. A true Scots internationalism. But for people to arrive at that, they need to have the raw materials in place, or else they’ll be forever held in deficiency mode with its personal and social dysfunctionality. Crucial to those raw materials, can be to have control of the little patch of planet on which we’re standing. That’s the deeper point of land reform. With such control, you have the chance to dance; and that dance is to “an auld song”, a song restored to dance like never before. It was the evening of 25 October 1991. 36 Eigg residents, plus a gaggle of lively children, had packed into the unheated Tea Room. We were there to give account of ourselves and it was the hardest speech I’d ever had to make. Just three months previously, four of us had brazenly launched The Isle of Eigg Trust. The driving visionary was Tom Forsyth, a Scoraig crofter. He’d raised the legal fees by doing drystane dyking work across the land, sometimes sleeping rough in ditches. There was also Bob Harris, a Lochwinnoch sheep farmer. Liz Lyon, an artist, who stood down shortly after the trust was launched. And me, a lecturer in human ecology who’d learned about community empowerment growing up on Lewis and in Papua New Guinea. In February 1994 Lesley Riddoch took her BBC Speaking Out programme to Eigg. When Schellenberg said the islanders didn’t know how to be responsible, Maggie Fyffe shouted back, “We’ve never had the chance to prove we were responsible.” Community land tenure means learning how to be a community. That summer, the islanders took over full control of the Trust and held elections to the board. Schellenberg retaliated with eviction letters, but that was grist to the mill. Eigg passed to Maruma, the spoof “fire artist”, and with a hole knocked in the value, because the natives were restless, the Trust raised £1.6 million. The new Isle of Eigg Heritage Trust was formed to incorporate the Scottish Wildlife Trust and Highland Council as partners, and the rest is history. The people of Eigg have vastly exceeded the frail hopes we ventured in that early manifesto. They have created a pattern and example for how to live as a community of place, a beacon to the world. As for that gaggle of children, now with babes in arms, just go and ask them who now owns Eigg.